This week on the Affiliate Thing podcast, Shawn Collins and Lisa Picarille talk about buying goofy stuff on Fiverr, a controversial ad promoting the return of Mad Med, Super Bowl commercials, and the increasing talk about Pinterest. 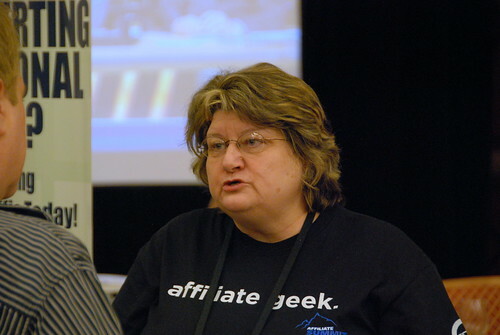 Affiliate ABCs hosts Deborah Carney and Vinny O’Hare discuss Affiliate Summit West 2012 in Las Vegas, and how this was different from past Affiliate Summit events for both of them. Traditionally we attend Affiliate Summit representing our merchants that we manage, and spend our time discussing our programs with affiliates, talking about industry issues with our peers and meeting new people. Sometimes we have a Meet Market table, and Deborah has spoken on many panels, This time Deborah had a Meet Market table for the Affiliate Summit Networking forum to bring attention to the fact that people can network there between affiliate summit events, and Vinny was a speaker with a solo presentation. We also had more merchants actually in attendance than we have had at one time in the past.